Appreciated by artists of all kinds, LANG Sketchbooks offer a wonderful way to get your ideas down on paper. 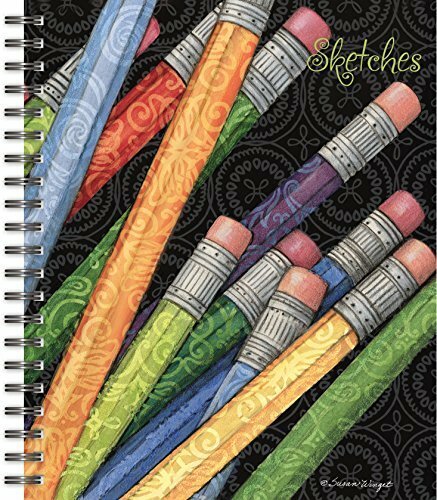 The Sketches Spiral Bound Sketchbook is inspired by the art you create inside. Artwork by Susan Winget depicts a collection of colorful pencils overlaid with elegant patterns. Creat your own works on the spacious blank pages inside this magnificent LANG work of art! Features 176 premium weight, acid-free pages with micro perforated pages.